Record numbers of three dolphin species off Scotland's west coast were recorded by conservation charity Hebridean Whale and Dolphin Trust in its marine research expeditions in 2016. 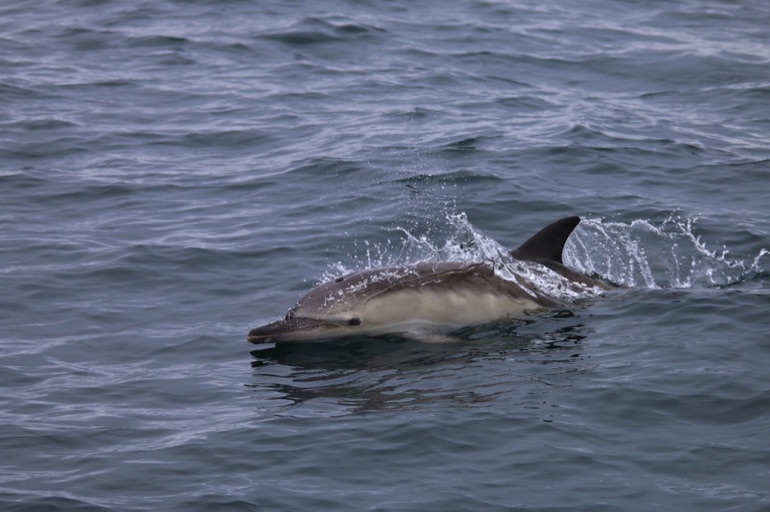 From the trust's specialized research yacht Silurian, volunteers and scientists recorded 2,303 individual common dolphins, 42 bottlenose dolphins and 94 Risso's dolphins – the figures for all three species being the highest ever recorded in its annual survey seasons. 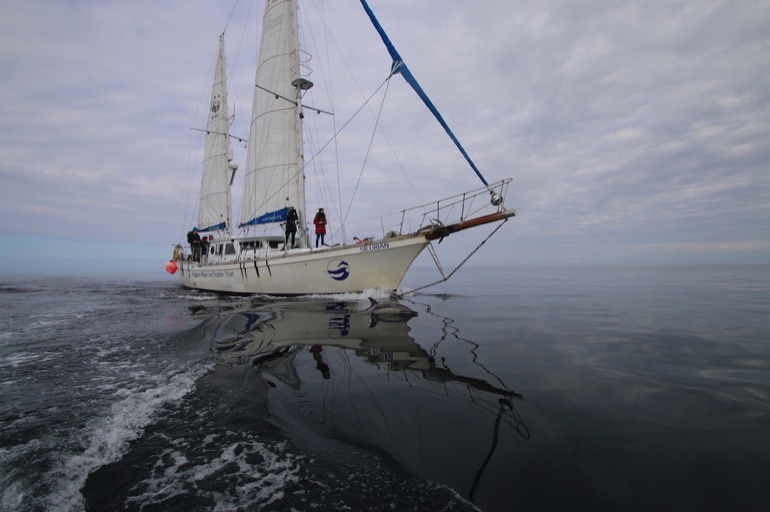 Read more about volunteering onboard Silurian. Average annual figures documented over the previous 14 years were 463 individual common dolphins, 14 bottlenose dolphins and 12 Risso's dolphins. For common dolphins, these records range from 0 individuals encountered in a couple of the earlier field seasons to 1,862 during the 2007 season. The latest findings were made in a research season lasting from May to October 2016, as part of the trust's unique long-term citizen science project monitoring whales, dolphins and porpoises – collectively known as cetaceans – as well as basking sharks in the Hebrides. During 2016, Silurian – previously used in filming of the BBC's The Blue Planet series – covered more than 5,000 nautical miles, compared to an average of almost 4,000 miles annually over the previous 14 years. Its crew documented more than 1,300 cetaceans and basking sharks, and recorded almost 700 hours of underwater detections of cetaceans using specialist listening equipment. Notable highlights included a wonderful encounter with a humpback whale in the northern Minch – an hour was spent with the massive creature lunge feeding, tail slapping and swimming under Silurian, alongside a large group of common dolphins. 2016 also saw Hebridean Whale and Dolphin Trust's first expeditions running out of Ullapool, allowing for surveys in the more northern and western parts of the charity's study area. Western Scotland's seas are one of Europe's most important cetacean habitats. With a long, complex coastline, strong ocean currents and a variety of habitats, the Hebrides is one of the UK's most biologically productive areas. So far 24 of the world's estimated 92 cetacean species have been recorded in the region – many being national and international conservation priority species. Read more about marine wildlife in the area. Hebridean Whale and Dolphin Trust has been monitoring marine mega fauna in the Hebrides since 1994, and from Silurian since 2002. Its surveys are partly funded by a generous grant from Scottish Natural Heritage, which supports the training of future mammal scientists. The charity is the only organisation collecting long-term data on such a large scale on Scotland's west coast, and its volunteers and scientists have now recorded more than 12,000 cetaceans. 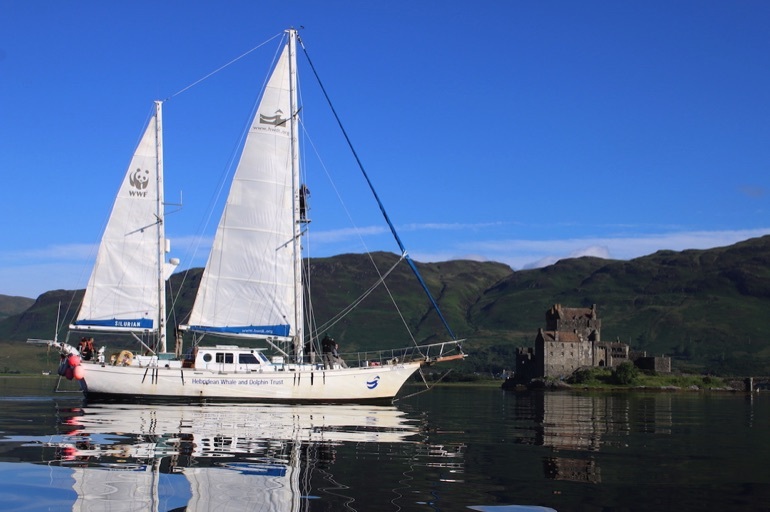 Participation costs for the forthcoming 2017 surveys cover boat expenses, accommodation, training, food and insurance, and support the trust's research. For details of how to take part, contact volunteercoordinator@hwdt.org, call 01688 302620, or visit www.hwdt.org.